When somebody mentions Barbados to you, the first images that come to mind are sandy beaches, palm trees, the crystal clear sea and a cool glass of rum punch. It's no coincidence or myth, because Barbados is a truly stunning country with a fascinating wealth of experiences ready for any traveller. 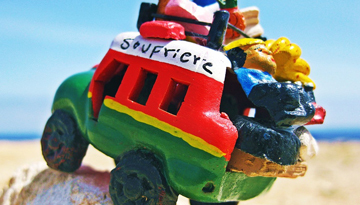 In Barbados you can leave your hectic life behind, and slow things down to a relaxing pace - it's exactly this laid back lifestyle that attracts so many visitors all year round. Thousands of tourists visit the country every year to take part in the Crop Over festival, which includes musical events and traditional activities that people from all over the world take part in. For the locals, it is a very important cultural event. The country only has two distinct seasons, that of the 'wet season' running from the start of June to the start of November, and the 'dry season' which runs from the middle of November until May. Although the region is known for its tropical storms, Barbados is always saved from the worst of these - allowing you to lie back on the beach and soak up a few rays in the Caribbean breeze. 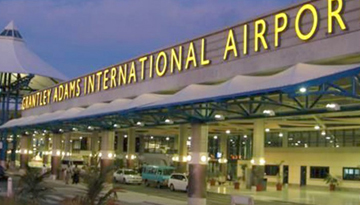 There are many cheap flight tickets to Barbados which are available at best price. You just have to compare flight tickets to Barbados and book your cheapest flight tickets to Barbados which fits well within your budget. The Crane Resort is an unique 4-star resort & hotel accommodation offers a private beach. 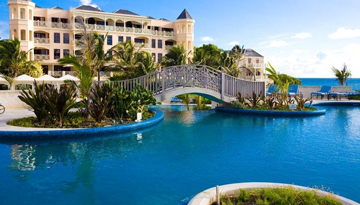 Fly from London - Barbados & Stay for 7 nights with 3 star accommodation. All Inclusive.